An expert’s tips on handling trip disruptions will get group leaders through short-term crisis situations at the airport. You’ve just arrived at a crowded gate with 50 of your students, only to find the counter agent announcing the flight’s been cancelled due to weather. Along with the other passengers, you start scrambling for answers about a rebooked flight; meanwhile, your students are texting away to parents and friends about the cancellation. You stand there wondering what to do. The first call you make, if working with a tour operator, is to their office. Angst builds as you begin thinking about missed appointments, how to handle the parents who have now begun texting you and what to do with 50 students while the situation gets resolved. But you take a step back, breathe and remember you have answers because you have read this article. Flight cancellations are a part of air travel. The odds are on your side that your outgoing and return flight home will be on time and go off without a hitch. However, certain factors can affect those odds, including weather, mechanical issues, flight crews and air traffic control – to name a few. Should your flight be cancelled, managing rebooking expectations is paramount to reducing the stress you, your students and their parents may feel. It’s important to understand the airline operations behind a cancelled flight. Flight cancellations affect an airline’s overall network. The plane on which you were to depart was also booked for other flights that day. 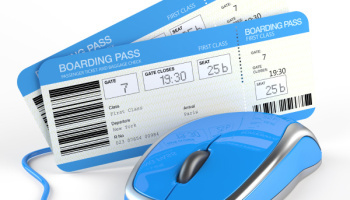 One cancellation can affect a day’s worth of flights, in different cities, at different times. I’ve had the chance to go behind the scenes in an airline’s operational center during a flight cancellation, and the best way to describe the scene is computers monitoring hundreds of flights while staff buzz around like worker bees to rectify the situation. It’s controlled and methodical, but to the passenger standing at the gate, it may seem like nothing is being done. In fact, the gate agent is often the last person to truly know why a flight has been cancelled – barring an obvious storm right outside the gate window – as information flows through many channels before it hits the gate. Airlines have a responsibility to rebook your group as soon as possible. Today, flights are often oversold, so the next logically available flight may not have any openings for your group. In the case of a flight cancellation, airline operations do review flight manifests to identify large groups. The number of passengers in a group is identified by the airline’s record locator (sometimes called the PNR), a unique combination of numbers and letters, typically six characters in length, that allows an airline to identify passengers. At times, tour operators may book your group on the same flight but in smaller groups, each with their own record locator. Reasons for this may include managing the group’s budget as airline seats on the same flight vary in price. If you are traveling without onsite assistance from your tour operator, knowing the record locators for your group along with names associated with the record locators will prove valuable. If your group has several locators, the airline is not seeing your group as a whole of 50 but rather by the number in each locator, and thus, the operational end doesn’t know you are traveling together. Most tour operators will ensure that each record locator includes the name of one adult plus students, provided there are enough adults on the trip. As the airline starts to rebook passengers, they rebook based on record locators, working to get the passengers out as quickly as possible. At this point, you will need to get in front of a gate agent and explain that you are traveling as a group and wish to be rebooked as such. In the worst case scenario, you may need to fly out in smaller groups; in this situation, insist on flights close together in time. If you are not getting the help you need from the gate agent, ask to speak to a supervisor. Groups traveling with a tour operator will have support in managing the rebooking. It’s important to know that airlines take no responsibility for passenger comfort, such as food or lodging, when flights cancel due to weather or other situations outside of the airline’s control. However, if the flight cancels due to a mechanical failure or fault of the airline, they are responsible for your comfort and will provide a voucher for food and lodging. Sometimes though, you may need to remind them of this fact. Prior to any trip, it’s best practice to meet with parents to explain the itinerary, travel arrangements and contingency plans in the case of a travel disruption, such as a flight cancellation. Explaining the rebooking process in advance and setting the right expectation for communication will help reduce the number of texts or calls you may receive. For starters, set boundaries. Let parents know that if there is a flight cancellation or other situation, you will inform them as soon as humanly possible and then keep them informed as the rebooking process is worked through. It’s not unreasonable to ask them to not text or call you unless it’s absolutely urgent. Often your tour operator will send messages to parents should a situation occur. Prior to travel, consider using a group text app and invite parents and students to join the group. Apps such as GroupMe or others work well and allow you to send texts to the group. When the outbound flight cancels, parents may worry their child won’t see all the sites planned on the itinerary – assure them you will get in as much in as possible. Parents may also ask for a refund of unseen sites – let them know you’ll discuss that matter upon return. If traveling with a tour operator, questions such as this should be directed their way. Your focus during a flight cancellation is keeping the group safe and getting them rebooked as quickly as possible. Students are resilient and often find flight cancellations exciting. It becomes the “story” of their trip. A consideration is managing social media. Students are quick to get out their phones and start messaging friends and family, often with a mixture of facts and conjecture. Setting the right expectation in advance of the trip about the use of social media will handle this situation. One suggestion is letting them know that as their chaperone you are communicating with parents and want to keep the messages clear and on topic. In cases of long delays between the cancelled and rebooked flight, students will get bored. Food helps, decks of cards help, and just keeping them occupied with some kind of activity will offset boredom. Flight cancellations are a part of air travel, however, and you’ll eventually get to your destination or home. If a delay occurs in getting to your travel destination, the itinerary will need to be reworked to get as much sightseeing in as possible. Tour operators will handle this for you. As you are waiting out the flight, start making a list of your priorities – the must sees – to ensure your trip is as worthwhile as possible. By preparing yourself, your parents and students in advance should a flight cancellation occur, expectations are managed. Understanding that airlines truly want to get operations back to normal as soon as possible, even if it appears at the gate that nothing is happening, helps reduce anxiety. Lisa S. Curtin shares her thoughts following 20+ years of tour expertise, both as a group leader and Vice President of Operations for a major student travel company. Lisa now consults to the tour industry with organizations including the Student Youth Travel Association and serves as a contributing author to this publication. Currently, Lisa is the Chief Operations Officer for Caldwell & Companies.